Monkey plant. Partridge pea. Spiderwort. 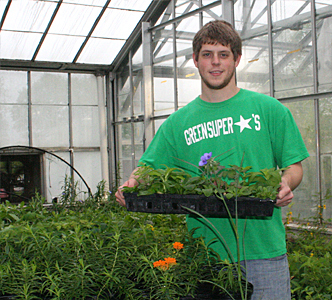 Patrick Sherwood and his fellow plant pathology grad students are busy these days tending to a menagerie of native plants. They’re also counting the days to the Chadwick Arboretum and Learning Garden’s Spring Plant Sale on the Ohio State campus, May 5-7. That’s when they’ll offer their native plants for sale, hoping to attract customers looking for eco-friendly landscape plants. Why natives? Native plants tend to be well-adapted to the area’s environment, are less likely to become invasive, and are good for the native fauna. And they’re attractive and low-maintenance. All good reasons to think about adding natives to the garden. 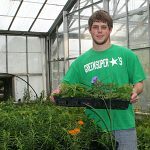 For information about the spring plant sale, including a 16-page list of plants that organizers anticipate will be available, see the arboretum’s website at http://chadwickarboretum.osu.edu. You may have invasive species on your land and not even know it. Learn about the harm they do, how to spot them, and how to fight them in a workshop in Dayton May 13. Troublemakers include common reed, common buckthorn, purple loosestrife, emerald ash borer, Asian longhorned beetle, and Japanese honeysuckle — plants and pests that aren’t native to Ohio but are here now and causing problems. Read more. Presenting the workshop is OSU Extension’s Ohio Woodland Stewards Program. Who had the fastest solar boat? Congratulations to all the participants in the K-12 student competitions at last week’s Wooster Campus Scarlet Gray and Green Fair. Winners of the solar boat races and the poster, essay, and creative arts competitions are listed here and here. Visitors at the Earth Day Bird Walk at the Wilma H.Schiermeier Olentangy River Wetland Research Park got a surprise this morning: the siting of a rare American Bittern. During the walk, led by renowned birder Bernie Master, the bird was flushed from cattails in one of the created wetlands on the site. It was later observed flying over the wetlands by all of the bird walk participants. 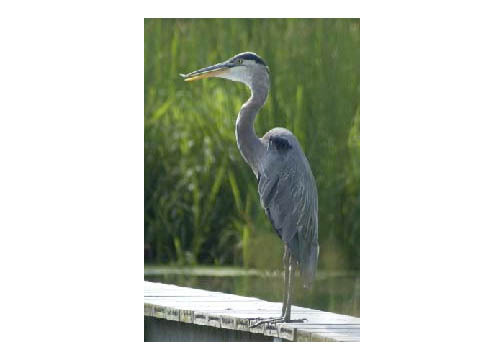 Wetlands Director Bill Mitsch reports that this is the first sighting of this rare wading bird at the Olentangy River Wetlands. 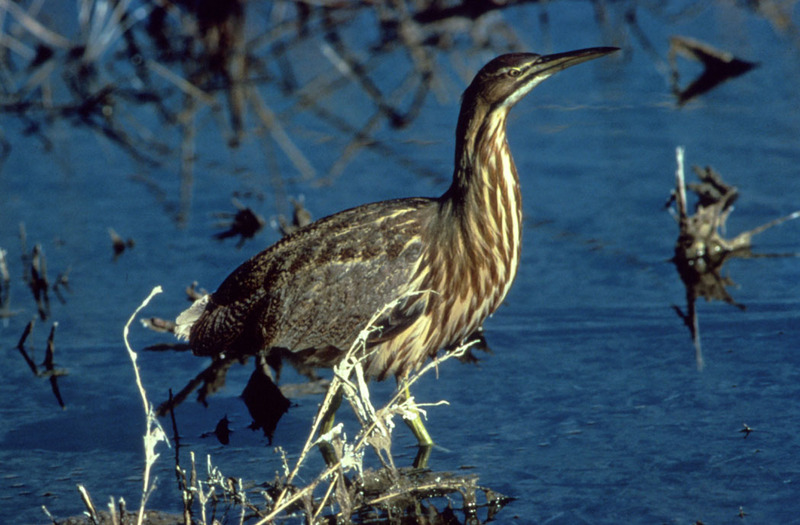 The American Bittern is listed on Ohio’s Endangered Species list. The college’s Olentangy River Wetland Research Park is celebrating Earth Day in a big way. Today they’re hosting a “Green Lunch Series” tour of the wetlands. And tomorrow, Earth Day begins with an 8 a.m. bird walk led by world-renowned birder Bernie Master, followed by a 10 a.m. Easter egg hunt, wild-goose egg hunt, and muskrat search. The Easter eggs will be filled with an ecological gift, and hunters documenting goose-egg and muskrat finds with their cameras will earn a special prize. For more university Earth Day Week events, see http://sustainability.osu.edu/earthday. For more on the wetlands, see http://swamp.osu.edu. Columbus’s “Abrahamic Faiths and the Environment” community forum series wraps up tomorrow (4/12) with two talks from Islamic points of view. Yosef Khan of OSU’s colleges of Medicine and Public Health will speak on “Cleanliness = 1/2 of Faith: Islamic Perspectives on the Environment and Public Health.” Taymour El-Hosseiny of Evans, Mechwart, Hambleton and Tilton Inc., Columbus, will present “Earth Has Been Devoted to Me as a Mosque (Masjid).” The three-part series — parts 1 and 2 looked at Judaism and Christianity — is a lead-in to Earth Day, April 22. Details. The Ohio Agricultural Research and Development Center (OARDC) is helping a Columbus, Ohio, company use plant-derived fibers to create a new generation of composite materials that consumers may soon find in their vehicles, houses and many other products — generating new jobs in Ohio. Working alongside the Ohio BioProducts Innovation Center (OBIC), OARDC has partnered with Natural Fiber Composites Corporation (NFCC) to engineer composites from jute, soy hulls, corn and wheat straw, and other plant-based sources instead of materials such as fiberglass. These natural fiber-reinforced composites are being targeted for use in transportation, construction, packaging and industrial products. The Rev. Ken Wilson of the Vineyard Church of Ann Arbor (Mich.) will present “The Well-Placed and Well-Connected Human: Creation Care in God’s Garden” this Tuesday (4/5) in Columbus — part two in the “Abrahamic Faiths and the Environment” community forum series co-sponsored by OSU’s School of Environment and Natural Resources (SENR) (part of CFAES). Wilson is a member of the National Association of Evangelicals Creation Care Committee and a co-founder of the Friendship Collaborative. The group engages scientists and faith leaders in conversation about shared environmental concerns, including climate change. The series leads up to Earth Day, April 22. Today, Ohio State’s Council of Graduate Students’ Sustainability and Environmental Responsibility Committee is organizing the university’s first Sustainability Summit. 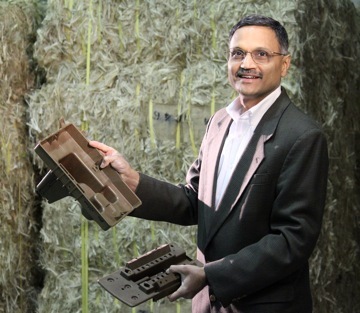 The event, held at the Ohio Union, will feature presentations by the university’s leading experts, including our college’s own Rattan Lal, Director of the Carbon Management and Sequestration Center. The Council of Graduate Students also will be voting on April 8 about supporting a Student Sustainability Resolution, crafted with the help of CFAES faculty and staff: Jessica D’Ambrosio, OSU Extension’s Ohio NEMO Program; Nicholas Basta, Environment and Natural Resources; Pierluigi Bonello, Plant Pathology; Jay Martin, Food, Agriculture, and Biological Engineering; and Allen Zimmerman, Agricultural Technical Institute. Download the Student Sustainability Resolution of 2011 at http://go.osu.edu/ssr.